Dangerous winter conditions cause accident on highway. January 10-16 is PennDOT’s annual Winter Driving Awareness Week and the department is urging all drivers to exercise winter-appropriate driving practices and to have their cars checked by mechanics as temperatures drop and winter conditions take hold of our roadways. In order to stay safe this winter and prevent automobile accidents that could endanger your life as well as the lives of others, PennDOT is urging drivers to have vehicles professionally serviced. The unseasonably warm weather that blanketed the state earlier this winter has seemingly ended, with 2016 already proving to be colder in the first few weeks. That being said, a visit to the local mechanic is highly encouraged for all. Mechanics are able to inspect things such as your car’s cooling system, battery, hoses, drive belts, tires and windshield wipers to confirm that they all are working correctly and doing their jobs to keep passengers safe. In addition to a professional inspection, drivers themselves are asked to keep an eye on their own tires, fluid levels, lights and other things that can be easily checked. PennDOT also recommends all drivers have a fresh emergency kit in their vehicles at all times. Suggested items include “non-perishable food, water, first-aid supplies, warm clothes, a blanket, cell phone charger and a small snow shovel.” Families should also modify their kit to fit their specific requirements i.e. medications, and baby or pet needs. No vehicle should hit the road unless it is completely clean of any snow or ice, due to the severe accidents these elements can cause. 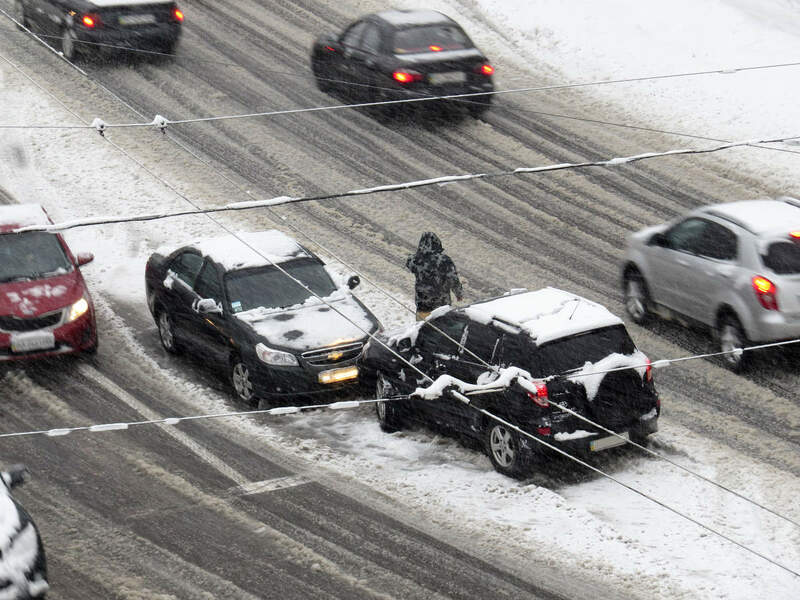 PennDOT claims that in regard to plow trucks, cars should remain at least six car-lengths behind the truck. Staying a distance away, keeping your lights on and avoiding passing a plow truck are all ways to ensure the truck is doing its job as well as keeping your own car safe. All drivers are asked to check out http://www.511pa.com/ to “Know Before You Go” and learn more about checking conditions this winter.